This was pretty easy. And since my grill is so big, I also grilled chicken thighs (bone-in) – recipe in a later post – and naked baked potatoes (on a skewer to heat evenly, no foil). I’ve been wanting one for a while. This week seemed like a good time (why, how would you celebrate your new book?). It was easy to put together and a breeze to operate. It is electric and uses wood pellets. 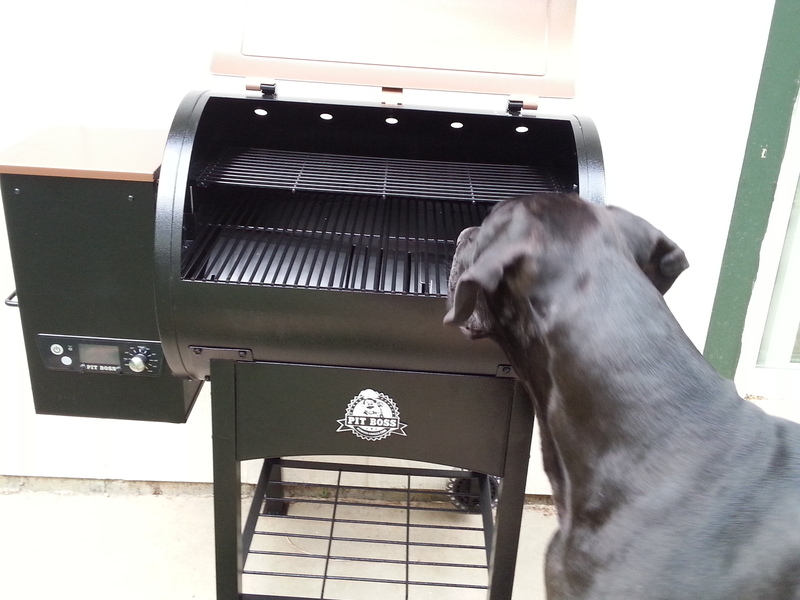 It has a flame feature so when you want to sear that steak, you can do so easily. 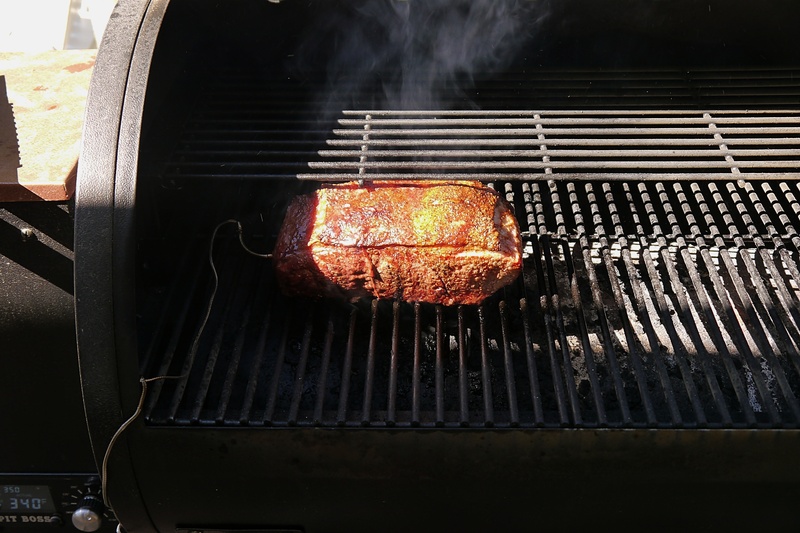 It has temperature settings and a great meat probe. I’m not sure Bixby approves. He’s suspicious of anything bigger than him. 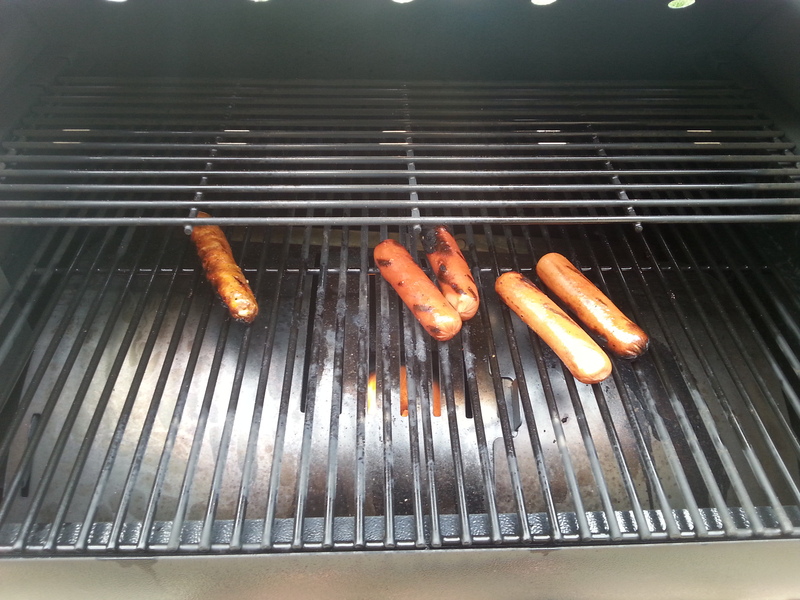 I’ve grilled chicken, hot dogs and Italian sausage. Tomorrow I’m having a get together and I’m doing Chicken Kebabs. 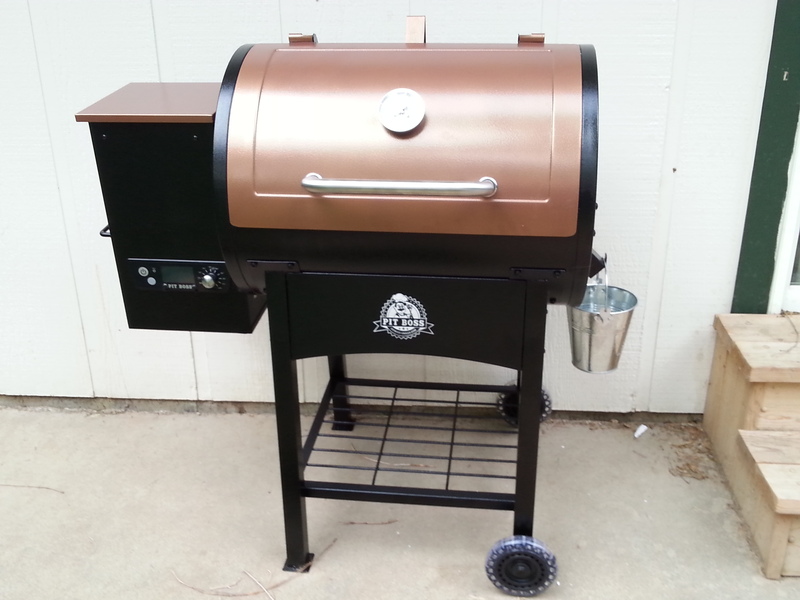 Looking forward to a lot of summer grilling and I might even try to smoke a brisket. I’m going to have a house-full all next week and then I’ll be on the road for a while, but I’ll have my computer with me, so I’ll try and do a few posts. I’m sure there will be a lot of good food. I’m wanting to try and create a strawberry-lemonade cake.